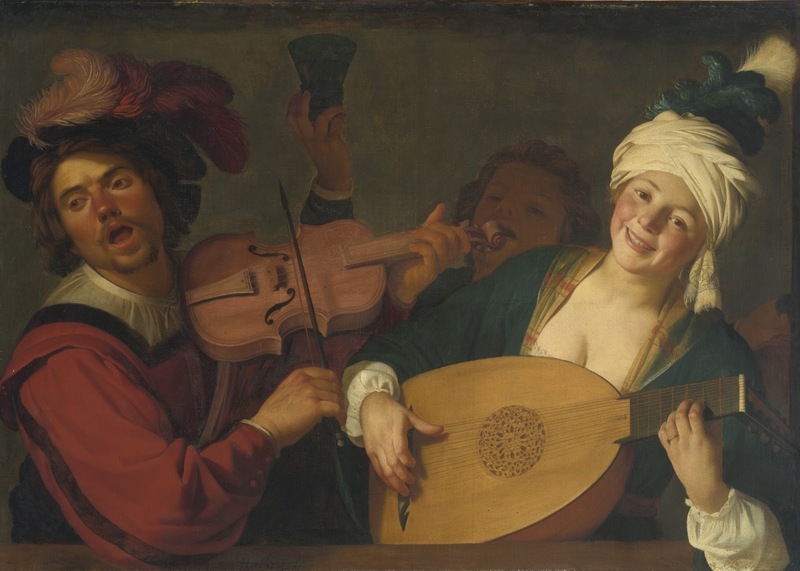 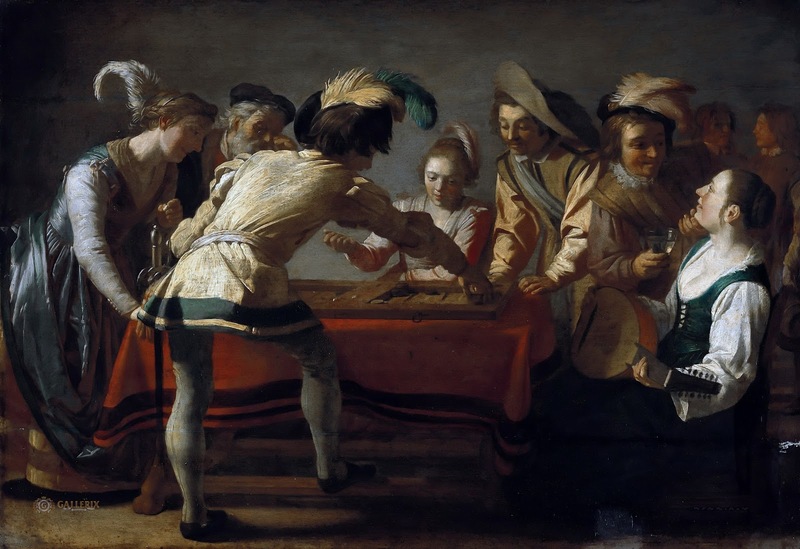 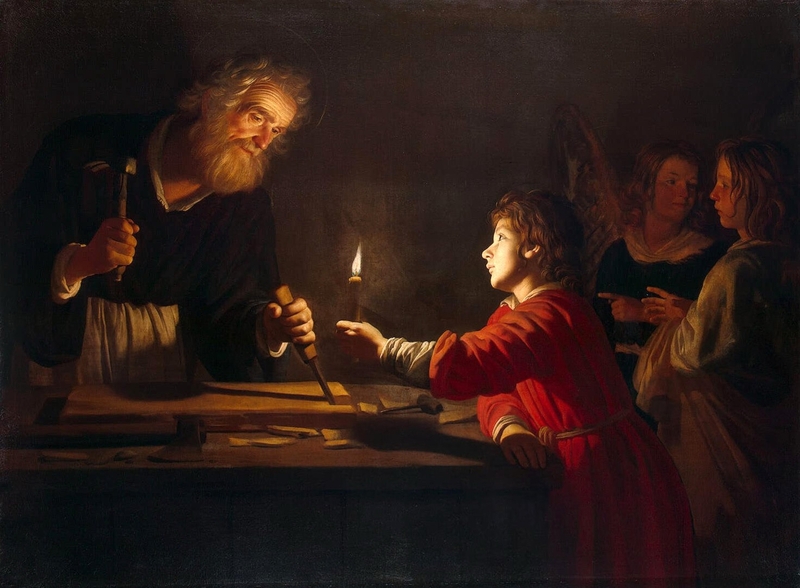 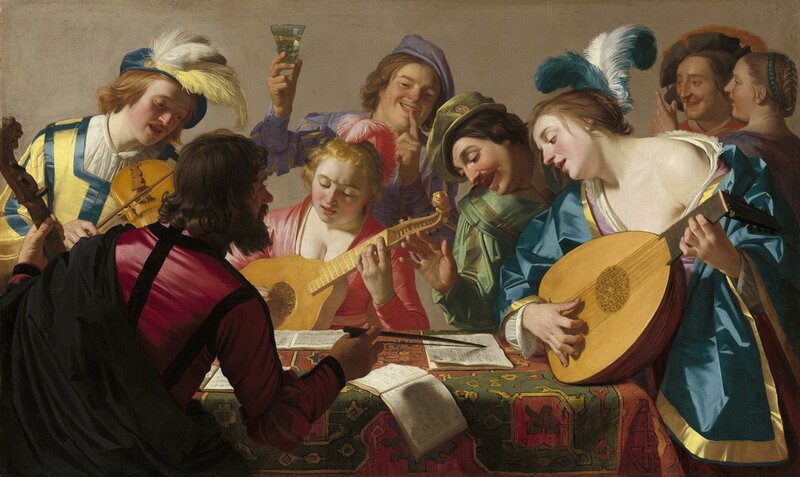 Gerrit van Honthorst (1590-1656) became one of the main Dutch🎨 followers of Caravaggio, whose style he popularised in Holland on his return from a stay in Rome, 1610-20. 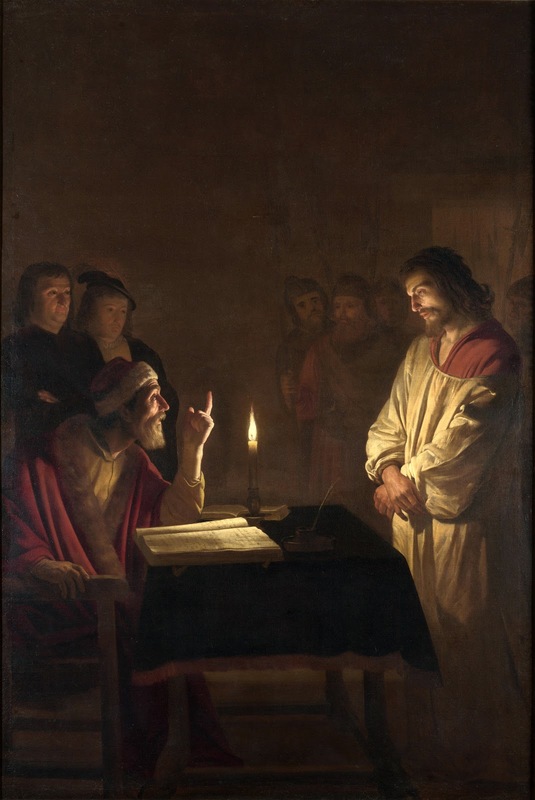 With paintings such as 'Christ before the High Priest🎨' he became one of the few Dutch painters to achieve international fame. 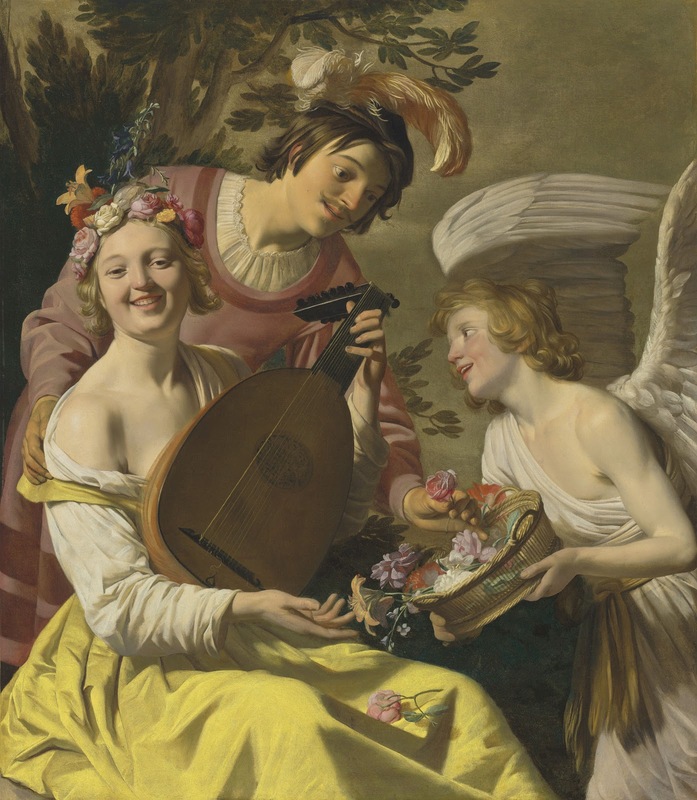 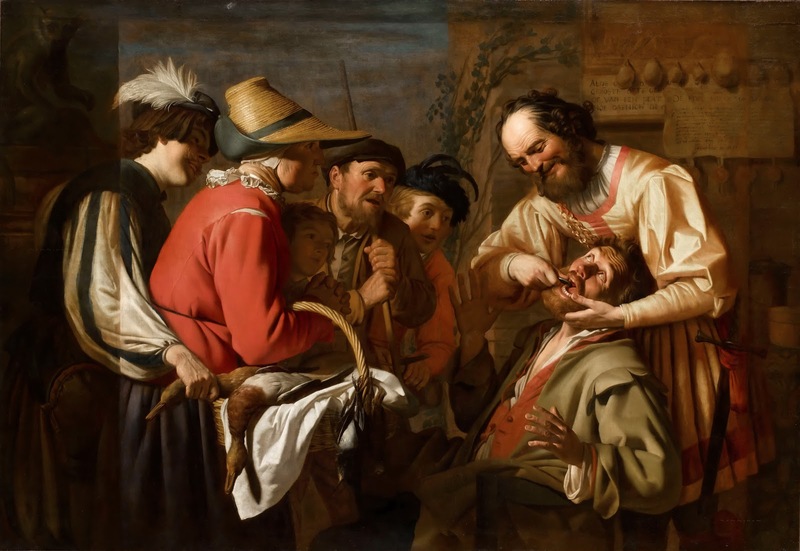 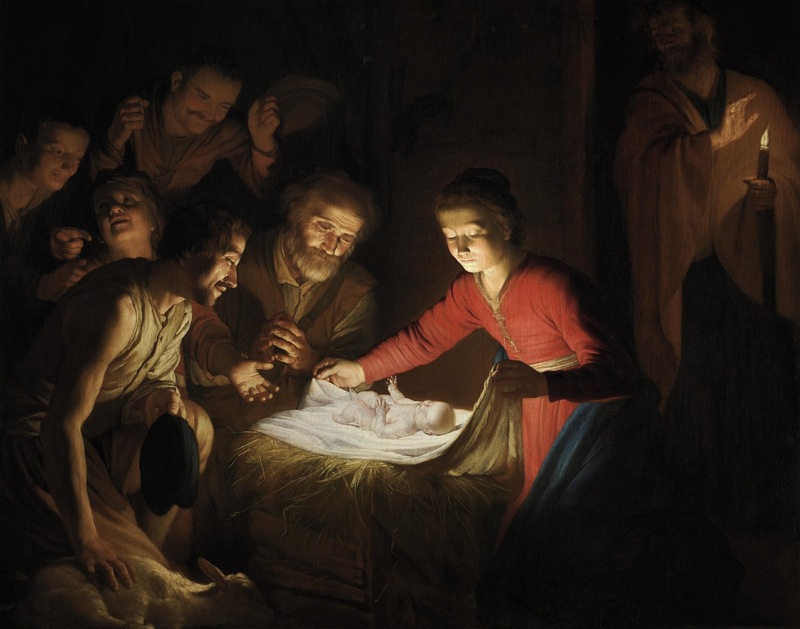 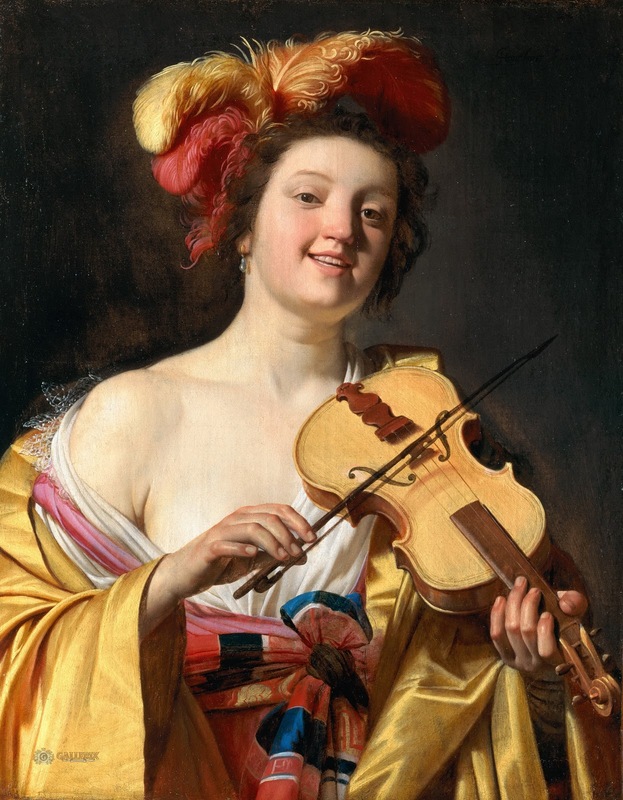 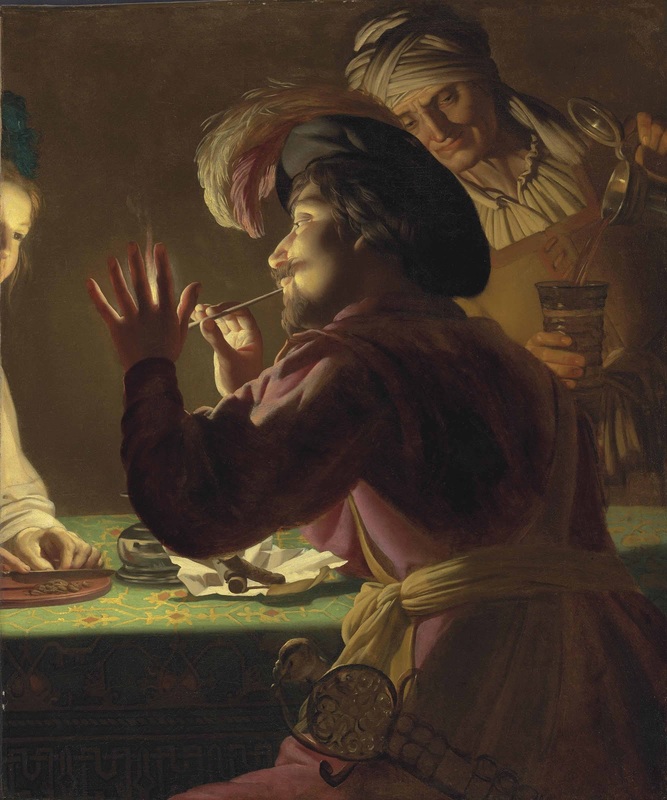 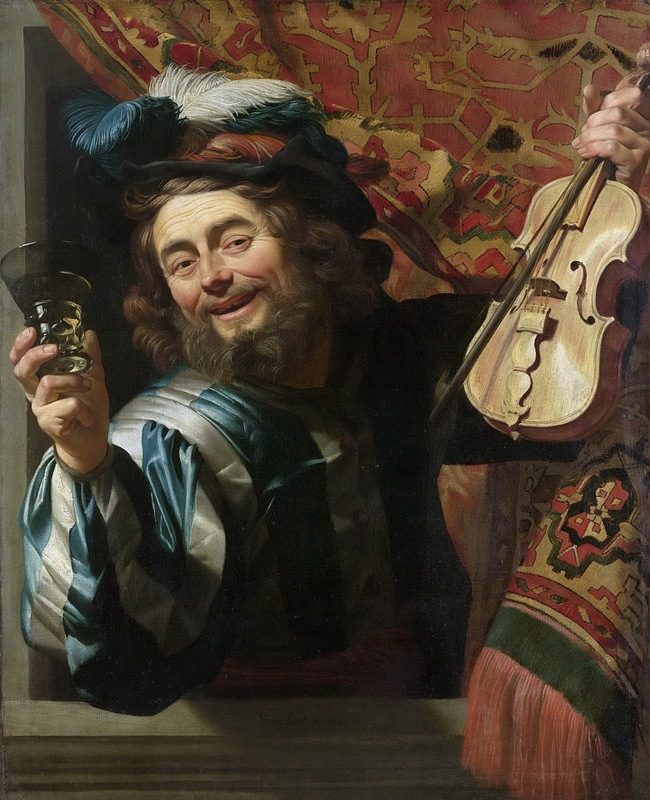 Honthorst was born in Utrecht, probably the son of Herman Gerritsz. 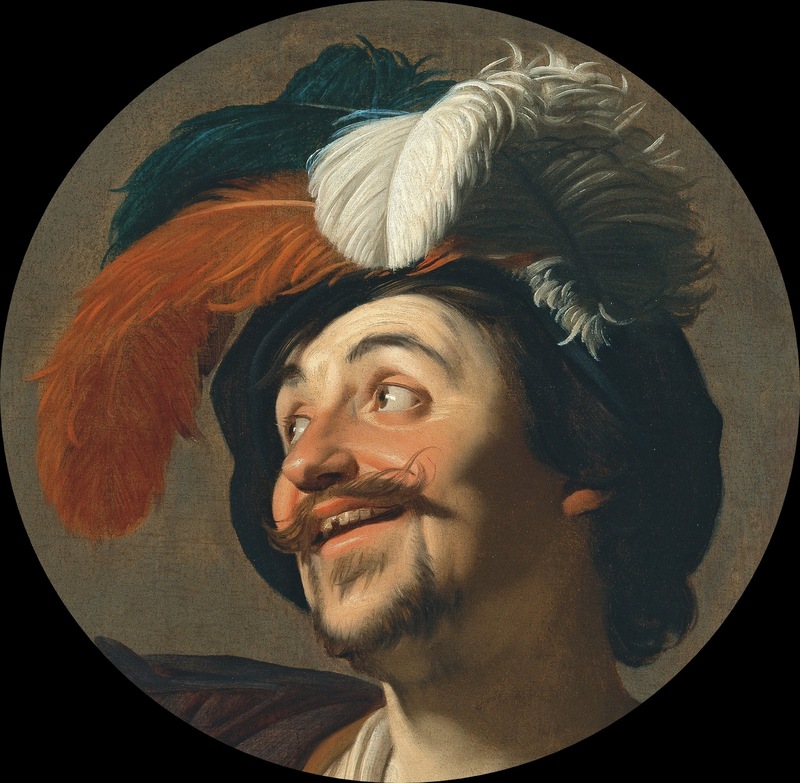 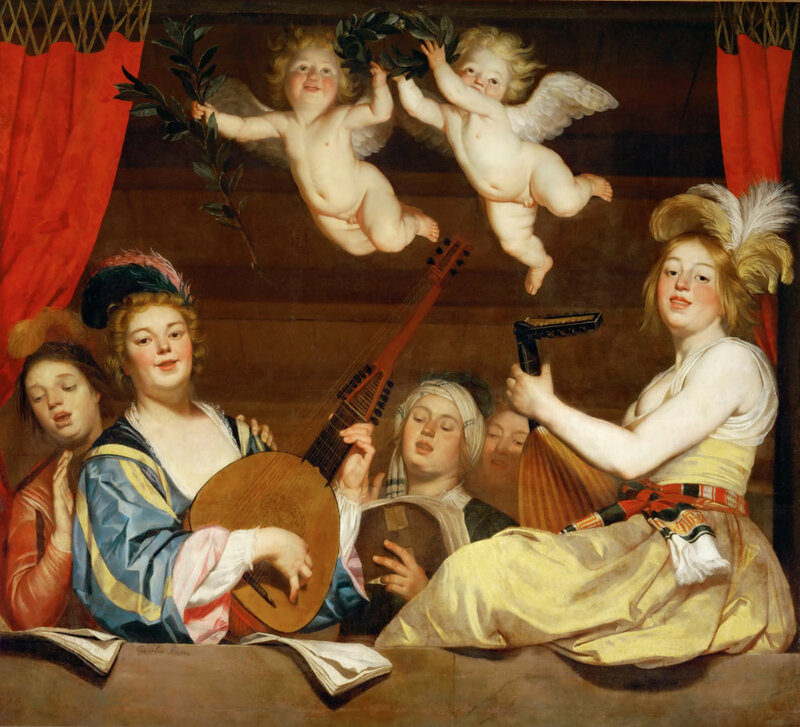 van Honthorst, a painter of tapestry cartoons. 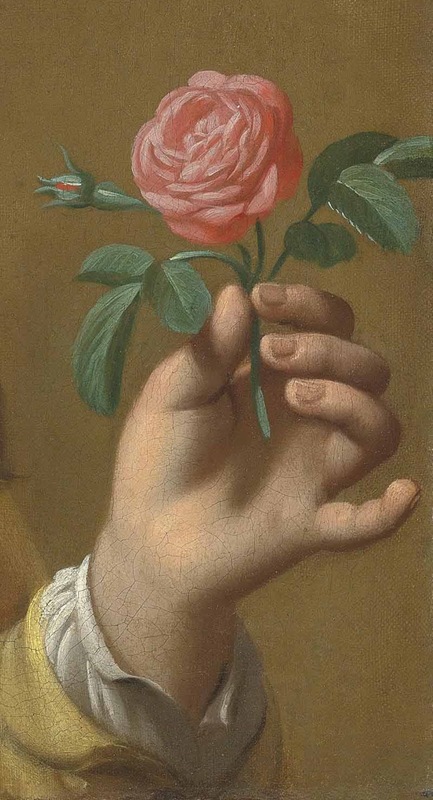 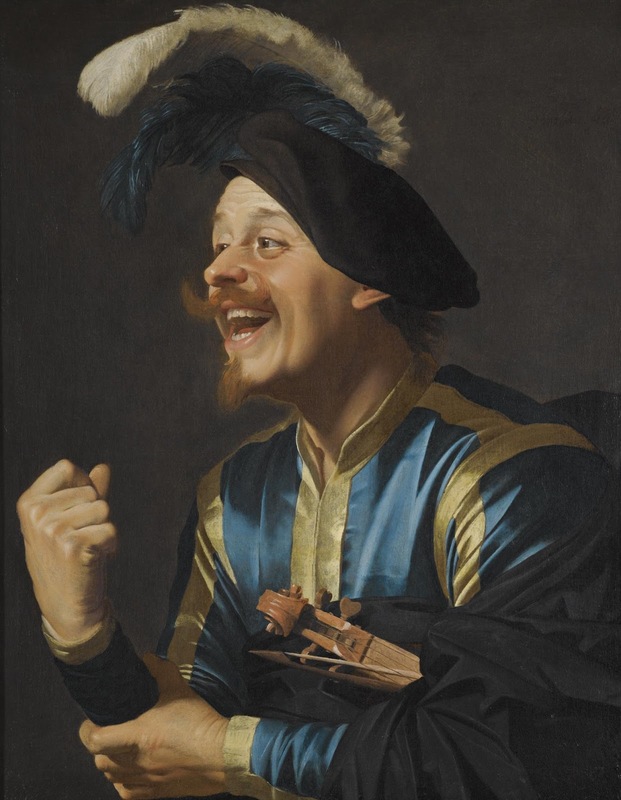 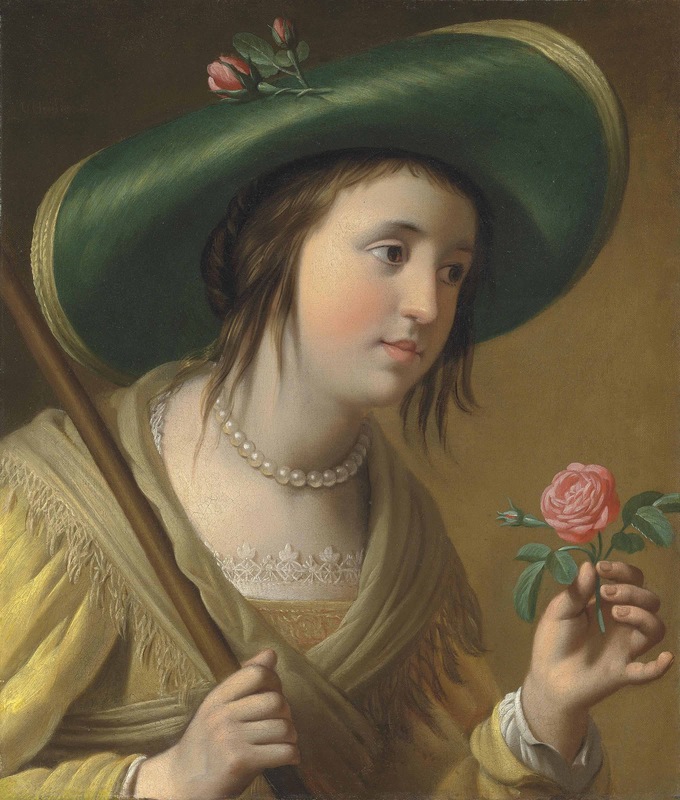 He trained with Bloemaert, the leading local painter, before travelling to Rome. 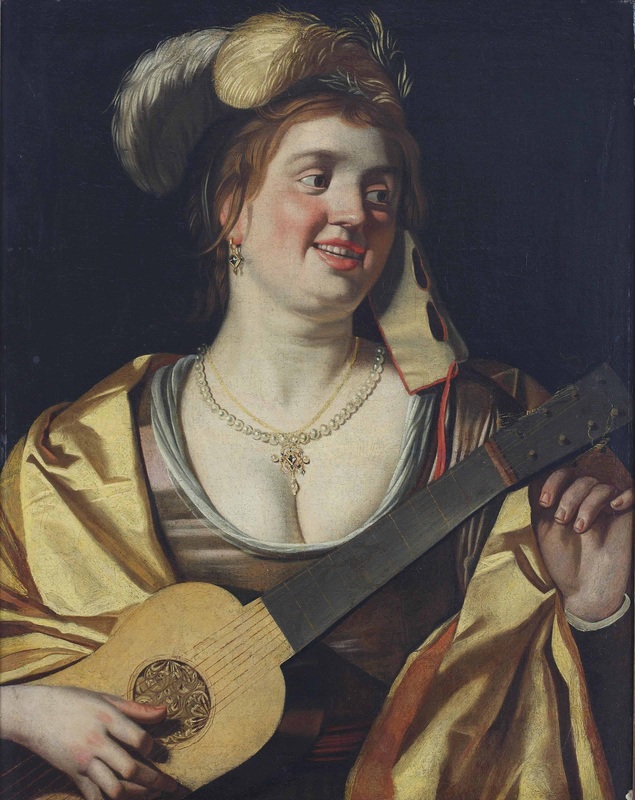 After his return to Utrecht in 1620, he turned from mainly religious to Arcadian and domestic subjects and portraits. 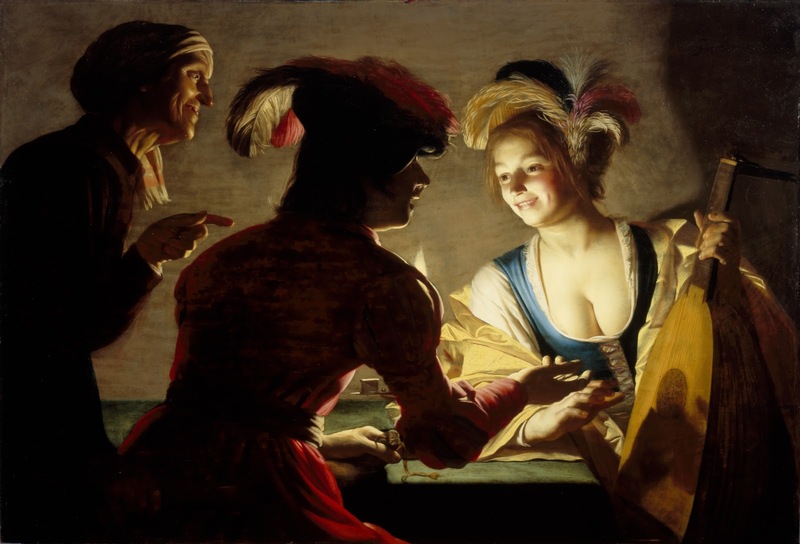 He popularised candle-light scenes. 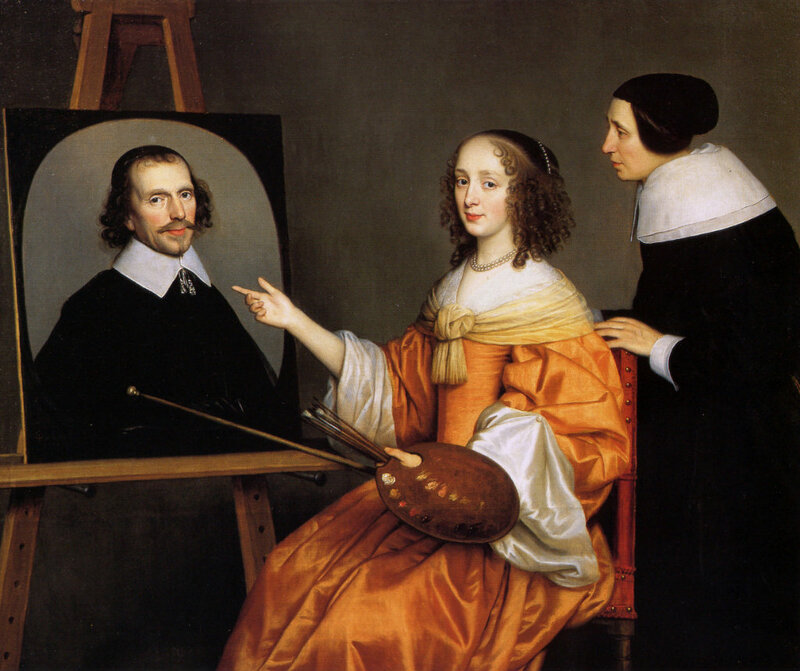 In 1628 he was working in London for King Charles I. 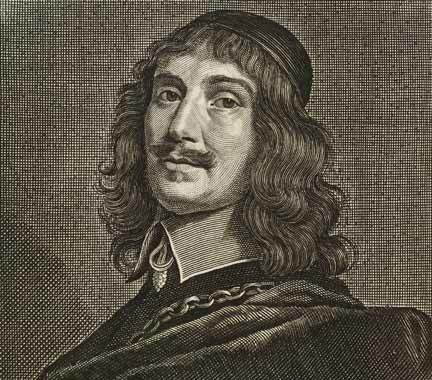 He returned in December 1628 and lived in The Hague, where he was in the service of Prince Frederick Henry of Orange (who died 1647). 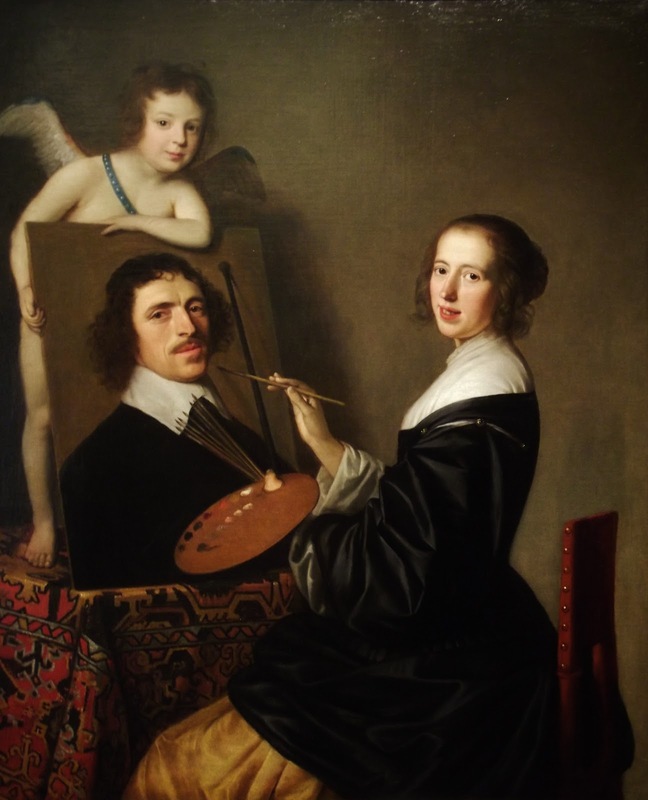 He was involved in the decoration of the Prince's new palaces and was his favoured portrait painter. 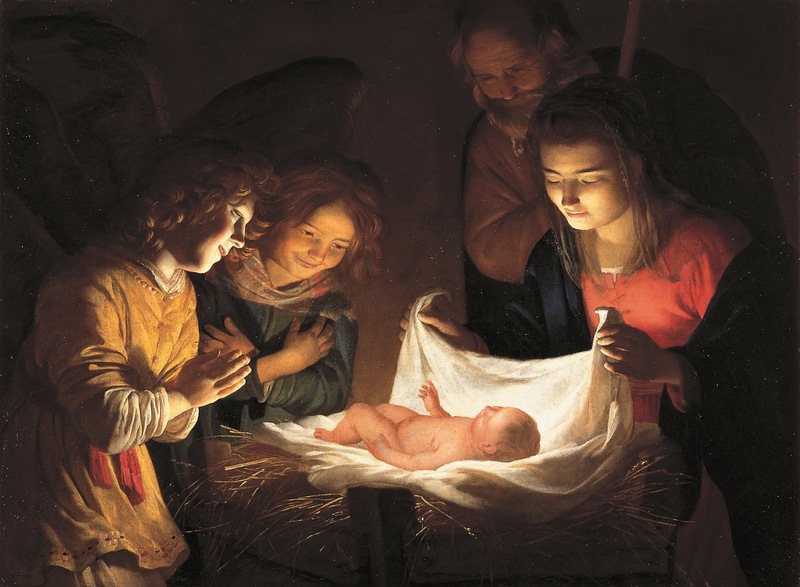 In 1635 Honthorst sent to Denmark the first of a long series of classical and historical pictures commissioned by King Christian IV. 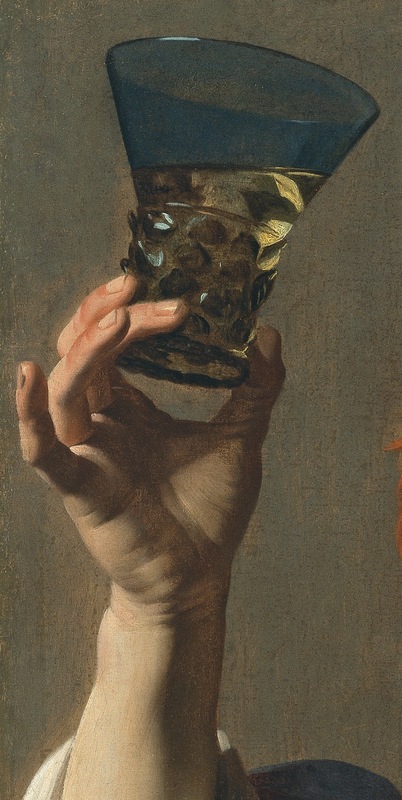 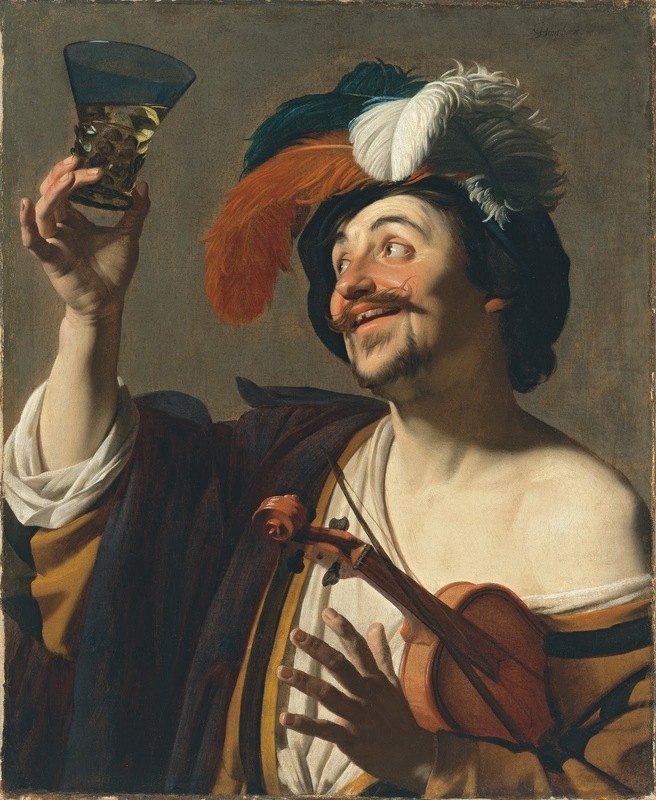 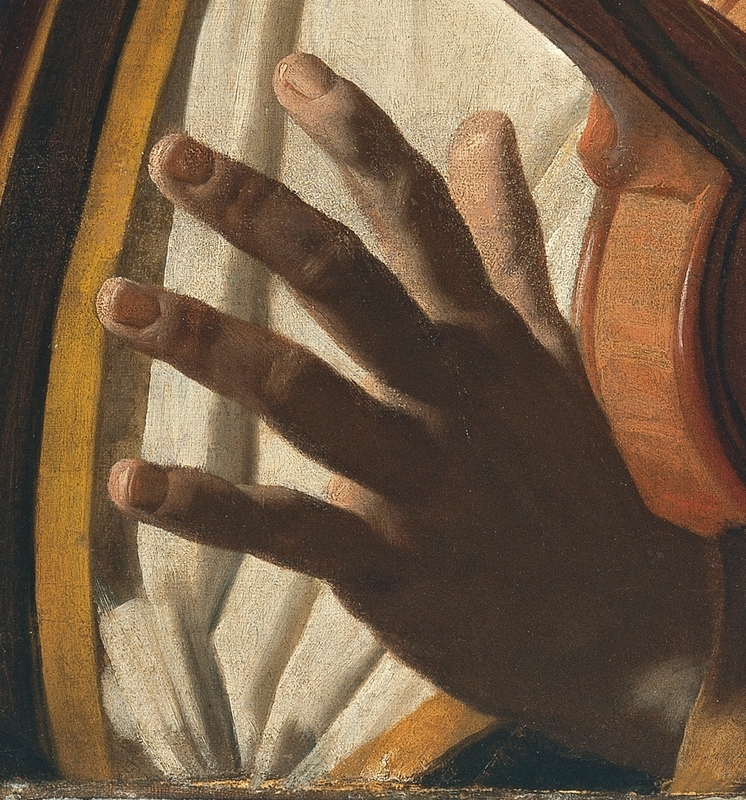 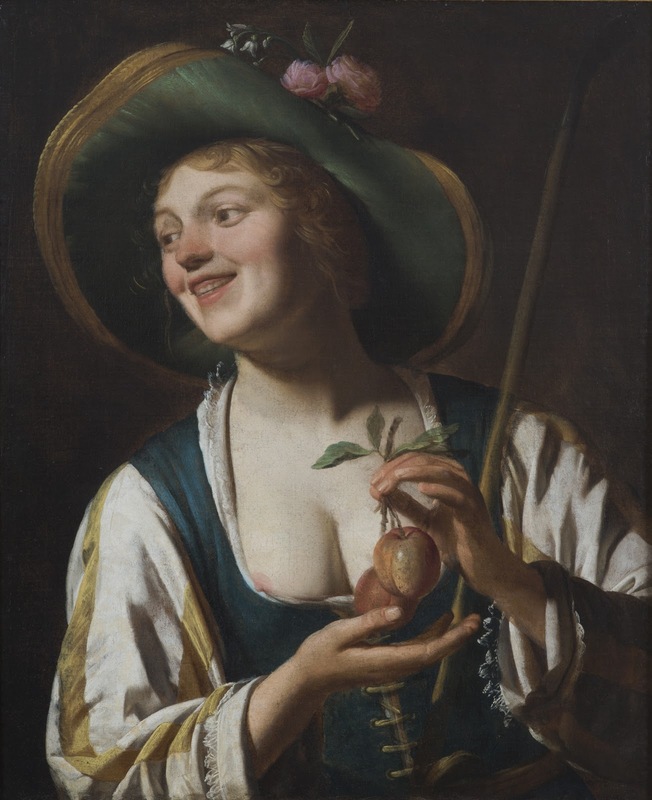 Honthorst ‹hònthorst›, Gerrit van, detto in Italia Gherardo delle Notti - Pittore (Utrecht 1590 - ivi 1656), il più noto dei seguaci nordici del Caravaggio. 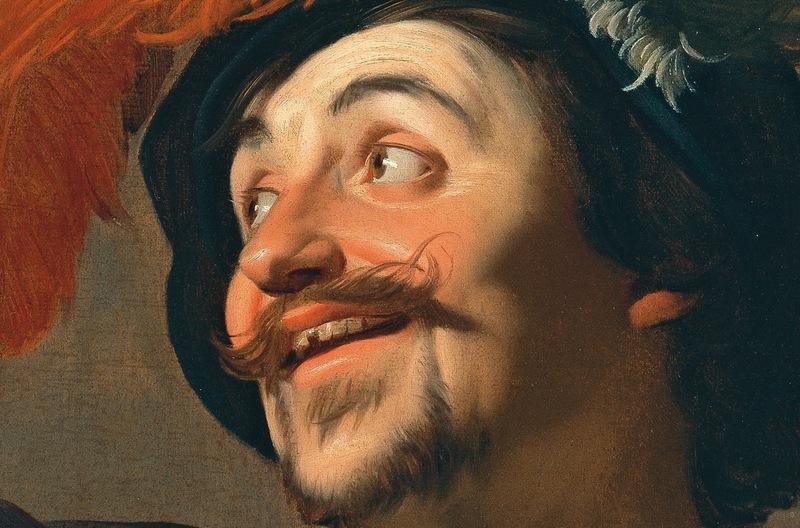 Allievo di A. Bloemaert, fu in Italia dal 1610-1622. 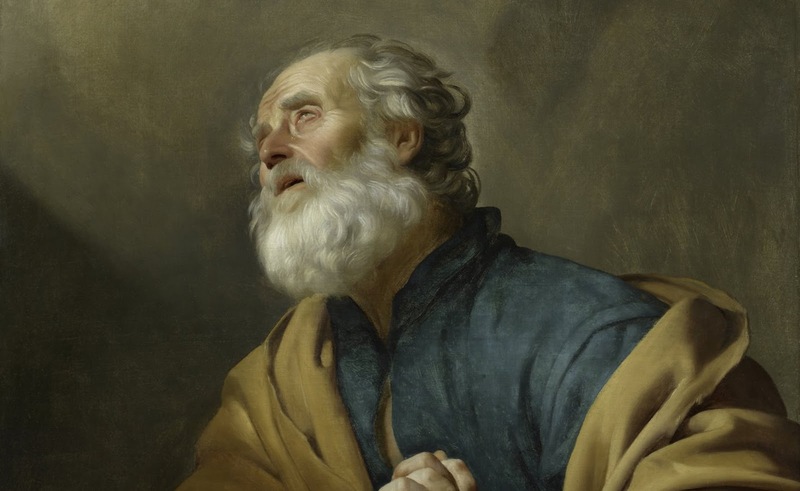 A Roma, dove fu protetto dal card. 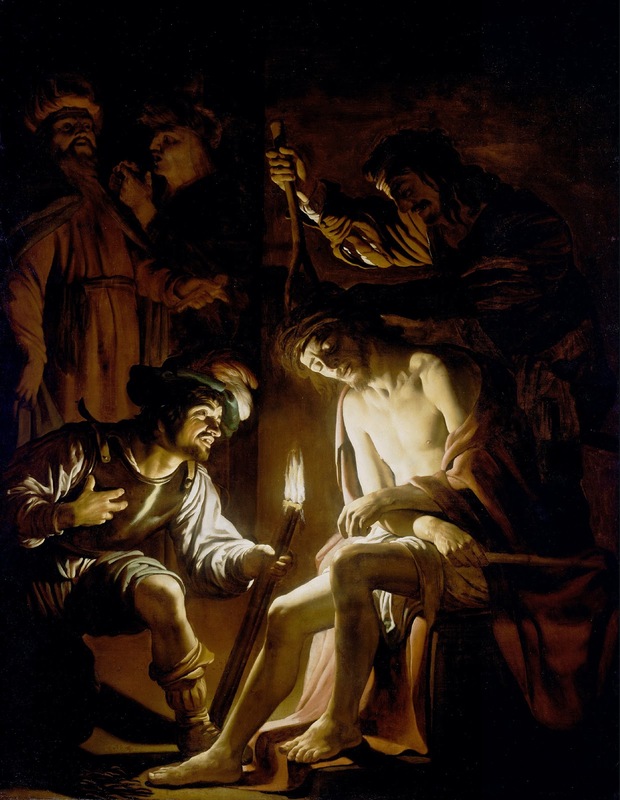 Scipione Borghese e dal marchese V. Giustiniani, restano molti suoi dipinti -celebre la Decollazione del Battista in S. Maria della Scala, in cui la drammaticità caravaggesca è già talvolta smorzata - come poi maggiormente dopo il ritorno in patria - da qualche accento accademico. 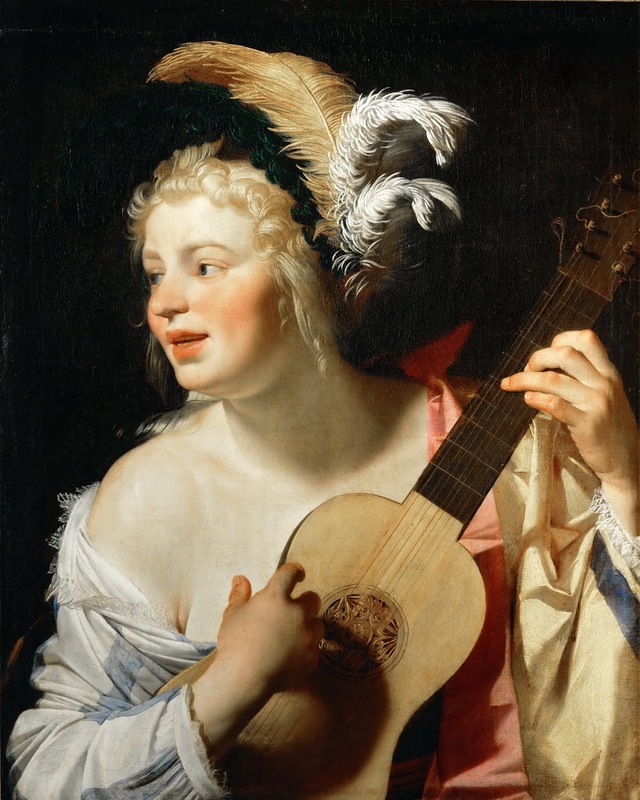 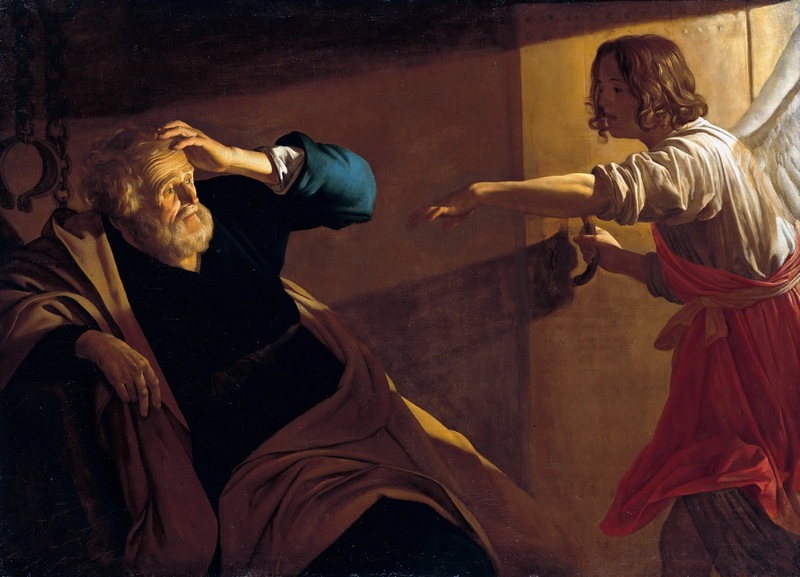 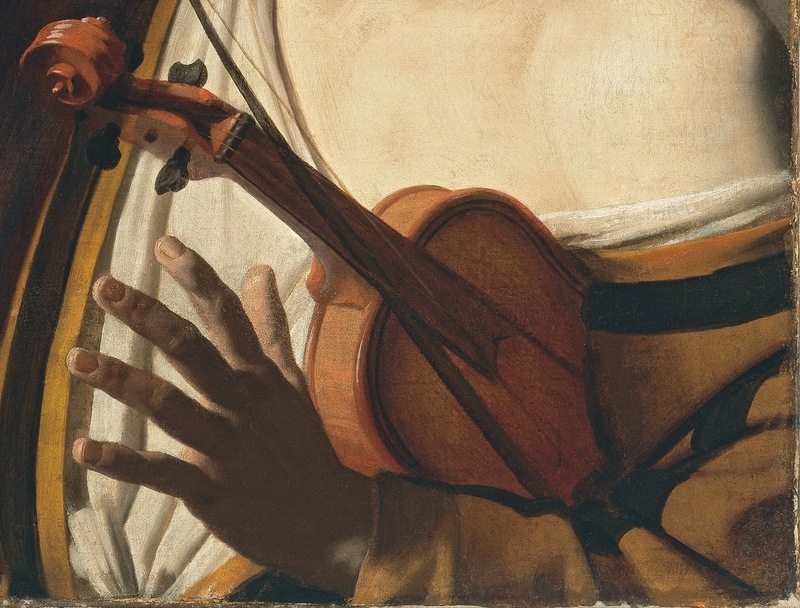 Su di lui influirono anche O. Gentileschi e H. Terbruggen. 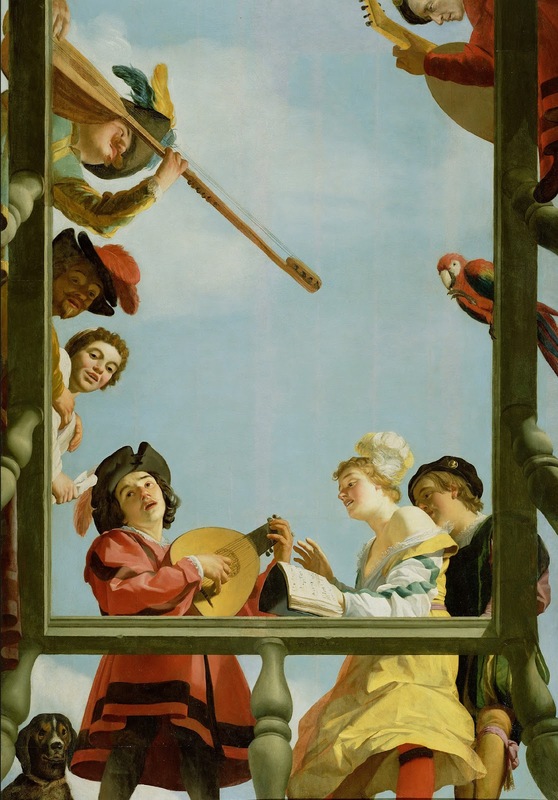 Nel 1619 si fermò a Firenze, dove lavorò per il granduca. 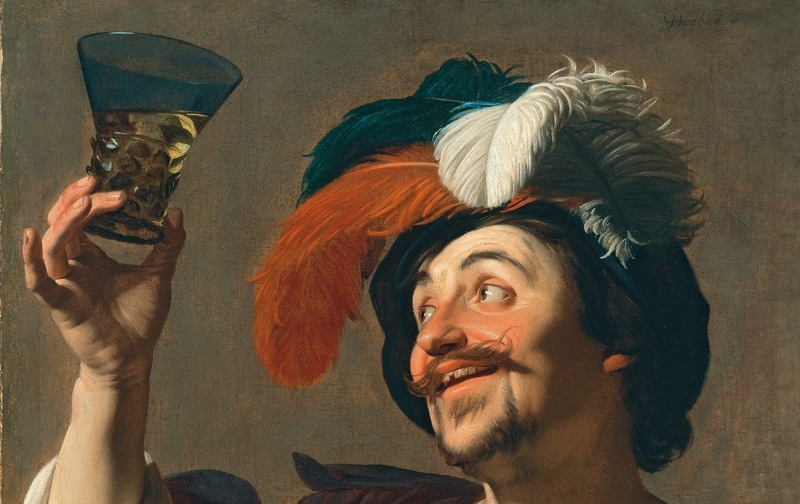 Grandissimo successo egli ebbe poi come pittore di soggetti storici e di ritratti alle corti dei Paesi Bassi, d'Inghilterra, Danimarca e Brandeburgo.